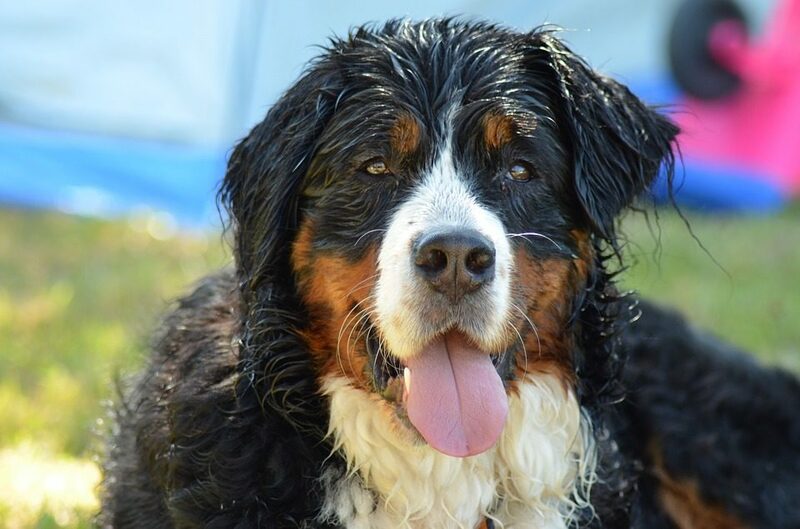 Almost any dog owner who has lost a beloved dog to cancer has probably faced the reality that we do not yet have the same plethora of advanced treatments available for our four-legged friends that we have for people. Yet, our dogs share our living environment and develop many of the same ageing diseases that we do. From cancer and osteoarthritis to diabetes, inflammatory bowel and heart disease they are often afflicted with many of the same ailments found in people, says Jessica Dugan. A new UK biotechnology company, Poïesis Therapeutics, is focused on a solution to this problem by working to advance the level of innovation in veterinary medicine through partnerships with human biotechnology companies, translating their promising drugs into new medicines for pets. Poïesis is forging the path ahead for these partnerships using funds currently being raised on SyndicateRoom. Largely, this collaborative approach to drug development is still more widespread in the United States than it is in Europe. A major exception to this is the UK-based Humanimal Trust, founded by renowned neuro-orthopaedic veterinary surgeon Professor Noel Fitzpatrick, which is dedicated to the belief that animals should equally benefit from the advances that they have facilitated in the first place. Like Poïesis, the Humanimal Trust believes in the integration of new developments in veterinary and medical science and in building closer working relationships between veterinarians and medical doctors. Some of the therapeutic opportunities being explored for development by Poïesis are in cancer, kidney disease, cataract treatment, and infection. It is a win-win situation; innovative new medicines will make it into the veterinarian’s office and the human-oriented biotech will have more tangible proof that their drug could work in people by being able to point to its success in treating animals. In pursuing its goal, Poïesis is committed to the One Health Initiative which recognizes the synergies between human and animal medicines. Recognizing that human health (including mental health via the human-animal bond phenomenon), animal health, and ecosystem health are inextricably linked, One Health seeks to promote, improve, and defend the health and well-being of all species by enhancing cooperation and collaboration between physicians, veterinarians, and other scientific, health and environmental professionals. Thus, animal health companies like Poïesis that seek to pursue the One Health view of medicine are trying to address critical questions like: Could treating naturally occurring disease in dogs, such as various cancers, serve as an indication of what new treatments might work in humans? Or, can drugs to treat various diseases in humans be adapted to treat the same diseases when they occur in companion animals? Designing clinical trials for dogs suffering from similar diseases to those found in humans provides pharma companies with more realistic treatment models while at the same time increasing the chances of new therapies coming to market that will help both dogs and people. Nevertheless, according to Dr. Lisa Troutman, DVM, Veterinary Medical Officer in the US FDA’s Center for Veterinary Medicine, no medicine developed first in dogs has yet crossed over for human use. Until recently, she said, the only drugs available to treat cancer in companion pets came from cancer drugs approved first for human use and then used off-label in pets, although veterinarians can now draw upon three cancer drugs developed specifically for dogs. None yet exist for cats. This is where the One Health Initiative is having a positive impact as Dr. Troutman and others see the pharmaceutical landscape changing with doctors and veterinary oncologists collaborating more closely to promote human and pet health and pharmaceutical companies taking note of a growing market in animal health. What One Health Initiative represents, then, is the study of naturally occurring diseases in dogs and other companion animals whose owners are seeking veterinary care, similar to human clinical trials in human health care systems. This approach eliminates any induced distress because the study is being conducted in animals only after obtaining the informed consent of their owners. Most importantly, these kinds of clinical investigations offer dog owners access to cutting-edge therapeutics that often represent the only hope for their beloved animals. Furthermore, the majority of costs for these clinical studies are covered by the pharmaceutical sponsors or foundations, with the occasional exception of some routine laboratory and imaging tests before study entry, which usually run from £500 to £600 when they are not incorporated in the study expenses. What Can Be Learnt From Current Trials? The correlations with human diseases make companion animals ideal models for naturally occurring diseases, according to a collaborative group of the University of California, Davis researchers as explained in the cover article of a recent issue of Science Translational Medicine. The team — composed of researchers in the School of Veterinary Medicine, the School of Medicine and the College of Engineering — presents a perspective on how the knowledge gained from veterinary medicine can serve as a bridge to not only better understand human diseases but also reduce failure rates of human clinical trials and accelerate the approval and delivery of new therapeutics for humans. In their article, the research team notes the magnitude of the problem by emphasizing the fact that cancer is very common in dogs, accounting for almost 50% of all mortalities in dogs over 10 years old. In the United States alone, there are more than 4.2 million new cases of cancer occurring in dogs each year with about 1.5 million of those diagnosed as malignant, making canine cancer a statistically powerful, sadly, disease. Although there is a range of therapeutic options available for pets with cancer, including surgery, radiation therapy, and chemotherapy, there are few established standards of care for the treatment of cancer in these pets. Clinical trials for pets with cancer thus provide potential alternatives for treatment with novel therapies in development. Moreover, cancer is a complex, multifactorial disorder that develops over a long period of time prior to any sign or evidence of disease in the afflicted dog. These fundamental characteristics of disease complexity and progression contribute to the limited predictive value of traditionally induced models of cancer in rodents. While rodent models of human disease are essential to basic research, they can be poor predictors of outcomes of human clinical trials, the team writes. Cancer has been cured in mice many times over without a similar result for humans treated with the same therapy. Only about 11 percent of oncology agents that demonstrate efficacy in mouse models are ever approved for humans use. As a result, many novel drug candidates fail in human clinical trials despite evidence of drug efficacy in preclinical rodent models. However, the increasing participation of companion animals in clinical trials over the past several years has provided valuable insights for translational researchers. Like humans, dogs exhibit genetic variability, eat diverse diets, have varying personal habits and live in a wide range of environments — all of which play a role in various disease processes. Importantly, tumors that spontaneously develop in pet dogs as a result of normal ageing share many characteristics with human cancers, such as histological appearance, tumor genetics, biological behaviour, molecular targets, and therapeutic response. The tantalizing idea of the potential contribution of naturally occurring diseases in animals as models of human disease was first proposed by Nobel laureate August Krogh in a seminal 1929 paper in the journal Science. As cited by the UC Davis team, Krogh’s insight was realized more than 30 years later when clinical trials were conducted in client-owned dogs with naturally occurring cancer and, currently, clinical trials in pet dogs and cats are at the forefront of translational efforts to discover and develop new anticancer therapeutics. In fact, several therapeutic advances in human oncology have already been derived, in part, from clinical trials in dogs. These include an improved understanding of radiation response for head and neck cancers, a limb-spare surgical technique that became the standard in human osteosarcoma patients, and a new drug that improves survival rates for kids with bone cancer by delaying metastasis. Lymphoma, melanoma, breast cancer, and bladder cancer are other examples of similar tumor biology. Nevertheless, the cancer research community overall has not reached a consensus on how best to integrate clinical studies in pets with cancer within the cancer research continuum. Could Regenerative Medicine Be the Way Forward? The valuable experience gained from canine cancer studies has inspired other disciplines such as regenerative medicine and tissue engineering to integrate this approach to yield a more effective and rapid translation of new candidate drugs, innovative medical devices, biomaterials, and procedures to enhance the well-being of both human and veterinary patients. A recent example of the potential for translating to humans the knowledge that was gained from animals involved reconstruction of mandibular (jaw) bone using a regenerative approach that is now in routine use at the UC Davis veterinary hospital. Veterinary surgeons teamed with biomedical engineers to adapt cutting-edge technology to regrow missing mandibular bone in dogs. That technique has been used on more than 20 dogs that have lost bone to injuries or removal of cancerous tumors. Researchers anticipate the procedure in canines will prove instrumental in solving this difficult problem in humans. In another case, Dr. Duncan Lascelles, DVM, Professor of Small Animal Surgery and a research and clinical pain management expert at North Carolina State University’s College of Veterinary Medicine, is the principal investigator on an innovative project, 'Chronic Pain in Companion Animals and Humans' which is funded by the Clinical and Translational Science Awards One Health Alliance (COHA) to promote awareness of the One Health concept. The alliance involves veterinary colleges partnering with medical schools and research institutions through a National Institutes of Health Clinical Transitional Science Award. Dr. Lascelles’ project will focus on specific painful conditions affecting pets and people including osteoarthritis, diabetes, bone cancer, and interstitial cystitis with the goal of demonstrating how transdisciplinary collaboration can lead to improved pain control in humans. The Concept of 'One Health-One Medicine' is not a new entity as leaders in medicine such as physician and pathologist, Rudolf Virchow (1821-1902) and Sir William Osler (1849-1919), a Canadian physician, frequently described as the 'father of modern medicine' and one of the four founding professors of Johns Hopkins Hospital in Baltimore, Maryland, embraced the concept that human and animal health were inextricably linked. With the One Health concept in mind, veterinarians and medical doctors in many parts of the world are joining together in a concerted effort to develop new therapies that will help both humans and animals. This ongoing feedback between disciplines is critical to the future advancement of health care in the 21st century and beyond by accelerating biomedical research discoveries, enhancing public health efficacy, expeditiously expanding our scientific knowledge base, and improving medical education and clinical care for both humans and companion animals. It is for this reason that Poïesis Therapeutics is dedicated to promoting One Health as an integral part of the company’s therapeutic development program. How big a role do you think the canine will have in man's future, and vice versa? Let us know what you think! Jessica A. Dugan, DVM, MBA – Co-founder, CEO and President, Poïesis Therapeutics Ltd. Jessica is an equine veterinarian with 22 years of clinical experience. She has owned and managed her own veterinary practice since 1996, initially in Southern California and presently in Europe. She is a specialist in equine sports medicine, traveling the world to examine high-value horses for purchase. She has a degree in Biological Sciences from the University of California, Santa Barbara, holds a Doctor of Veterinary Medicine degree from the University of California, Davis, and an MBA from London Business School. As part of its commitment to corporate social responsibility, Poïesis is actively promoting and supporting several animal related charities and has pledged a portion of profits to three. Specifically: The Humanimal Trust started by Prof. Noel Fitzpatrick to promote One Health, Thrive Animal Rescue which rescues and rehomes dogs and Durrell Wildlife Conservation Trust which promotes the conservation of endangered species by working within the community to educate.